Bury Hill has re-opened after three hours of recovery work following an accident on the A29 this morning, according to police. 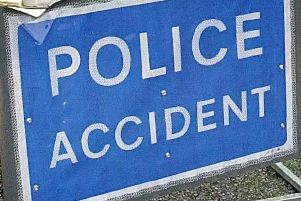 Police said a food lorry overturned travelling southbound near Bury Gate at around 11am, hitting an electrical pole and bringing down power lines. Power cables were isolated and the A29 closed in both directions between Whiteways Lodge roundabout and Pulborough for recovery work until around 4pm, police have confirmed. Energy supplier SSE is still listing power supply issues in part of the RH20 area, with an estimated time of repair at 8pm tonight. A police spokesman said an 11,000 volt transformer was believed to have been damaged in the collision, but there were no reports of any injuries. West Sussex fire and rescue service also attended, the spokesman added.